We also hold expertise in meeting the demands of Flexible Packaging in both Pouches & Roll Forms. These multi-color laminated films can be used to suit many applications including usage in packaging food products as well as milk based products. As these have excellent durability and are leakage resistant, these have high demand in the markets. Further, we can also make these available in bright colors with bold graphic options to distinguish them from others. 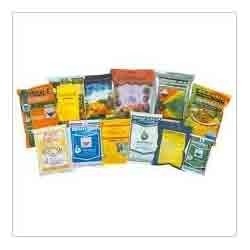 We provide our clients with a range of Laminated Layer Pouches & Rolls that are manufactured using high quality raw material and can be customized to suit the specific requirements of our clients. Available in various sizes, these printed pouches can be delivered in bulk quantities and within a short period of time. Looking for Flexible Packaging ?